Don’s Daylily Divider now comes with a foot bar. This new feature greatly improves the ability to push the dividing tool deep into the clump. 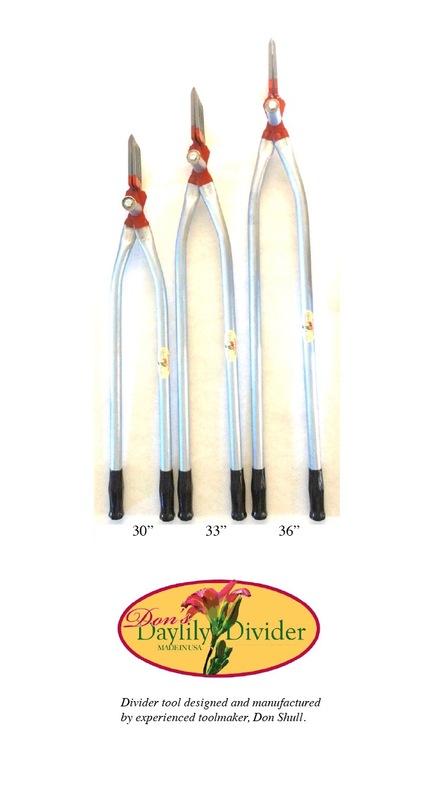 For those who already own Don’s Daylily Divider a retrofit is available. It’s simply a matter of removing existing screw and replacing with new longer screw and footbar. The new foot bar is priced at $5.95 plus shipping.